Setting up a decent blog with great content is just a part of your blogging activity. You need to promote your blog well in order to acquire big time success. 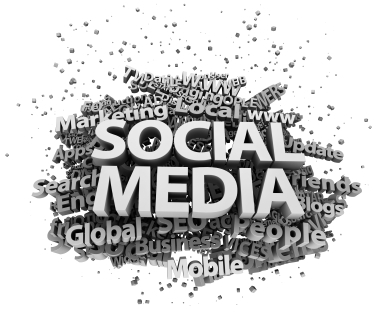 Today, social media sites play a very big role in providing recognition to your blog. Here are some great places to promote your blog including the ever popular LinkedIn, Facebook and Twitter. LinkedIn is an important platform for online business setters. If LinkedIn is used in the most effective manner, you will do well in promoting your blog. LinkedIn not only helps you feed your blogs automatically, but makes our expertise by finding solutions to general or forum queries. The platform is just great if you want recommendations from people and to contact members with similar interests. Twitter is one platform that is based on the modern and trendy micro-blogging concept. The platform that allows only 140 characters per tweet is just great for your business. The very fact that Twitter has a limitation on your blog makes it a completion to get to the point quickly. Twitter does not allow the beating-round-the-bush strategy. Just like LinkedIn and Facebook, Twitter allows you to feed your blog automatically. The true value of the social network comes when you interact with people. Twitter is just a wonderful place to ask for assistance, information search and venture into other businesses too. Facebook is definitely more than a network of old friends. Facebook pages can be used to promote your business or blog. It will enable you to reach audiences worldwide. Facebook makes it easy to link your pages with other networking accounts and social media platforms or even hook up with people with similar interests. This is simply the best way to promote your sites and have useful discussions with individuals in other places. Apart from the social media networking sites, your blogs can be sent to different blog search engines for better value. These search engines will help your blogs to be located properly and promptly. Here are some great blog search engines. BlogCatalog is a mix of search engine (blog) and social community. Your free account will let you interact with other bloggers, get blogs or promote your own blog too. It is simple to use and has fast turnaround for listing of blogs. This is a popular tool that is easy to access, but that is not the case for getting listed. You can make a choice of selection to be listed on. Thanks to the easy one-page submission form. In a week’s time, you will be advised of refusal or acceptance. In case accepted, the blog is opened for a bigger audience. This tool is the combination of a search engine and a blog aggregator. Klout has a big range of criteria creating Klout score to measure the influence made by your independent Twitter account. This tool is absolutely worth the time you spend on its study as you have to spend just a few minutes to create credibility of your microblogs. Reputed as one of the largest in the world, this tool rates blogs based on different criteria. It also gives a ranking of authority on a 1-1000 scale reading. You can post useful and popular blog posts – one that is with a number of comments and more visitors. This will help you grow better. Getting listed can be a challenge, but it’s worth taking a challenge. The above mentioned list of blog search engines is great to start with. However, when you plan to integrate your blog with other search engines, you must be careful. Remember, not all blog search engines are great. So do not waste your time. This is a guest post by Sharon Thomas of thecornersuite.com, a site that offers savings and current information on dish network internet service.